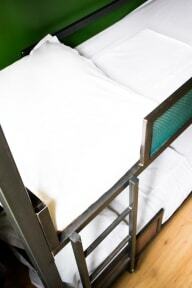 Amsterdam Hostel Orfeo i Amsterdam, Nederland: Bestill nå! 3 weeks before arrive date! the payment has to be done 4 weeks before arrival by bank. we do not accept small childeren. Welcome to Amsterdam Hostel Orfeo! Did you finally decide to come to Amsterdam? Are you looking for suitable budget accommodation? Then this is the right place for you. Your stay here will surely be something to remember. We’re centrally located and within a walking distance from the city's main tourist spots, such as Leidseplein, Vondelpark, Museum Square, the Flower Market, Dam Square, Rembrandt Square, Anne Frank House, Madam Tussauds Amsterdam, Rembrandt House Museum and many other famous places. There’s a supermarket near the hostel where you can buy food at an affordable price and save a lot of money for the trip. We provide the best information about Amsterdam. Some of our other services include free Internet access, free use of our kitchen and common room, free breakfast and free coffee and tea. 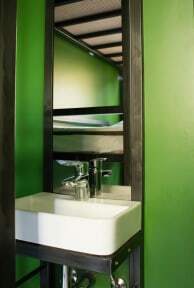 Rooms include free linen and our showers are always hot. We offer free walking tours and have free maps, tourist information and advice at our 24hr reception. There’s no curfew you’re welcome to use our luggage storage after check-out. Our young, multilingual, hospitable staff are here to make your stay with us a memorable experience, providing you the best accommodation at one of the best prices in town. Bicycle rental and laundry facilities are available nearby. Given the strategic location of Amsterdam, a day trip to other cities is very easy to plan. You can visit beautiful places like Haarlem, well known for its extraordinary architecture; you can take a tour to the famous Cheese Market in Alkmaar, visit the Old Dutch Fish Harbour in Volendam or admire the amazing Dutch countryside in Edam.